As a food blogger, I get quite a few free samples. Now, I could simply try them and then report back–let you know what I think. But that would be too easy. I don’t like easy (much to the chagrin of everyone who’s ever dated me, but the delight of anyone who’s ever eaten my food). Instead, I want to use the product in a recipe, and then pass that recipe on to you, if it’s blog-worthy. First up: a new line of pasta sauces out of Quebec called Antonella’s. The come in four varieties: alfredo and cheddar, which are cream-based, and tomato-basil and roasted garlic, which are tomato-based. Now, the thing I liked about these was that there weren’t any unpronounceable ingredients in them, they’re gluten-free, and they are the first shelf-stable pasta sauces to use tetra-packaging. This allows them to be 100% recyclable, more durable than glass, and they cause less of a carbon footprint, because they fit together and you can transport 33% more per shipment. Luckily, they do. 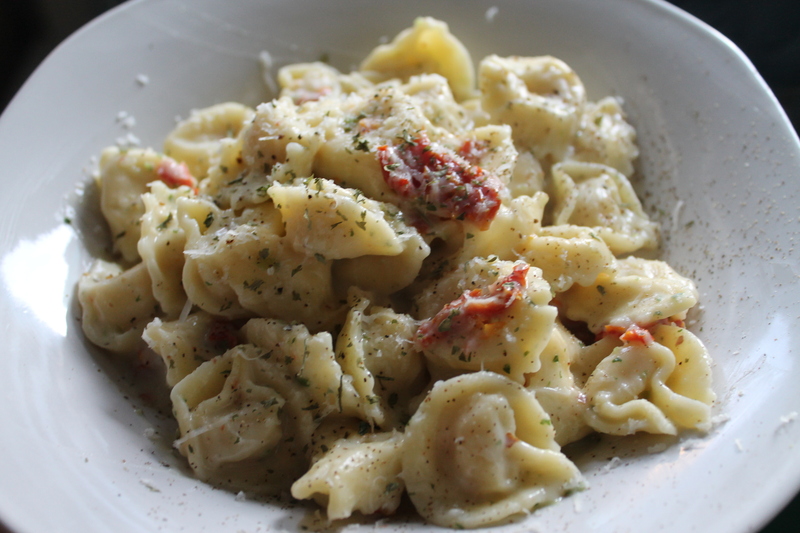 Mr. Picky 10-yr-old and I tried the alfredo on some fresh tortellini. I threw in a little pesto and some sundried tomatoes, and the boy hoovered it down and asked for the leftovers in his lunch the next day. Score. But I wanted to incorporate it into something that was different, meaning, not pasta. Hence this gratin. 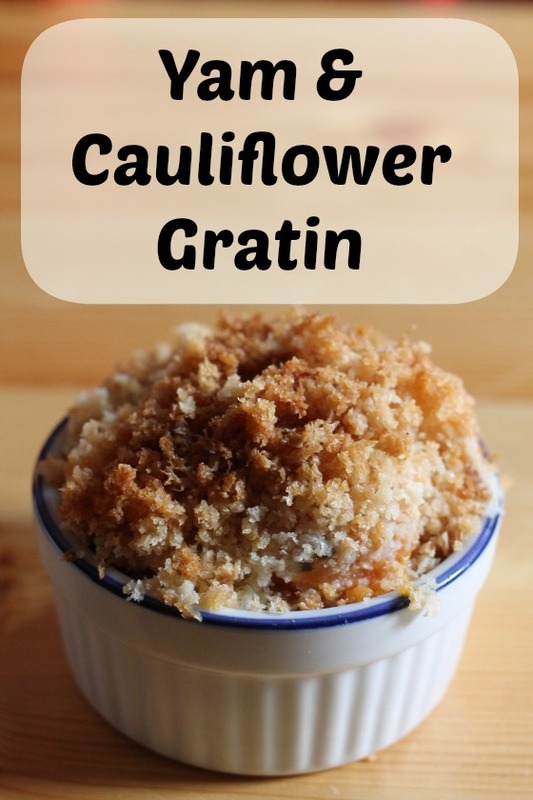 This would make a lovely side-dish for your Thanksgiving or Christmas turkey. There’s a richness to it from the creamy alfredo sauce, which hugs the vegetables. I added a panko and parmesan crust for crunch and texture. Toss the vegetables together in a large bowl. Add the sauce and stir well. Place the vegetables in a casserole dish and smooth the top with a spoon. Mix the breadcrumbs, parmesan and butter well in a separate bowl. Spread in an even layer, creating a crust over the vegetables. Bake, covered, for about a half and hour in 350 degree oven, then bake another 10-15 minutes uncovered until the breadcrumbs are toasted. Next up: cooking with booze!